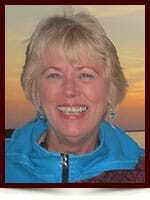 Debra Jane Helman - Edmonton's Burial & Cremation Professionals | Trinity Funeral Home Ltd.
Debra passed away October 24, 2015 in her 61 year, Debbie will be greatly missed by her family and many devoted friends. She is survived by her brother Reid (Susan) Hayes, her niece Lisa Hayes, her nephew Casey (Joanna) Hayes, and her great nephew Owen. Debbie requested that flowers for her celebration be brought to the Hall and then will be donated to her favorite charities after the celebration. Deb, you bought so much joy wherever you went. You always said it like it was, but you had a special knack to make every person feel welcome. Class 100%, that is you. I will miss you my friend.